Tucked away below sleeping alpine mountains lays the town of Freeburgh, 10 km from the township of Bright. Celebrate your special day with us at Burrow and Nest and have the luxury of the entire property for the weekend included in the package. 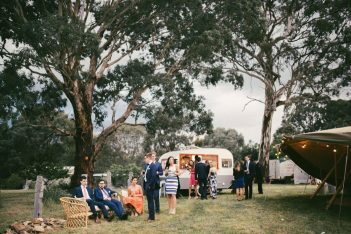 This unique 10 acre property on the Ovens River, nestled in the Victorian Alps, offers a range of locations for you to say I do. Whether it’s a riverside ceremony on the manicured banks, or on the farm with the backdrop of our converted rustic barn, Burrow and Nest will have you mesmerised with its appeal. With stunning accommodation on the property, The Barn and The Stables will ensure your bridal party and close family will be on hand in the lead up to your wedding. Start the weekend poolside with an intimate cocktail party where you can welcome guests, or just those lucky enough to stay. The pool house also features a woodfire pizza oven, ensuring everyone is relaxed and there is no need to dine out before the big day. With marquee locations in the orchard or with the backdrop of the rustic barn, the night sky will be competing with an array of fairy lights and luxe glamour. The High Country is famous for its magnificent local produce and wines and with an array of high end catering and vineyards in the region you will have a large selection to choose from – for a menu to rival the 5 star restaurants of the city. Weekend wedding activities on the property include fishing, swimming, bocce star gazing or relaxing in a hammock, whilst within a 10 km radius guests can enjoy paragliding, bushwalking, mountain bike riding. Only your imagination can limit you. Tell us you found us on WedShed and we will gift you a free night in our Alpine apartment, The Nest. T&Cs apply. Bel and Brendan Raveane moved to the High Country in 2015 away from the hustle and bustle of the coast. They found a 10 acre property located in Freeburgh on the Ovens River, at the base of the Victorian ski fields and decided immediately that this was their future. They meticulously renovated the existing outbuildings – The Barn and The Stables, and turned them into exceptional accommodation, offering guests an experience that is rare to find. The property features private river frontage, orchards, manicured lawns, pool house, pizza oven and Feathertop views. Ricky and his effervescent wife Georgie who founded James & Co. 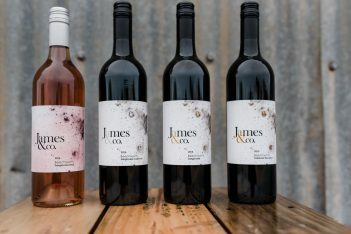 Wines upon a desire to produce limited quantities of approachable and enjoyable wines. I will create for you beautiful, honest photography that tells your story in a fresh, natural and spontaneous style - capturing big moments, little details and all the happiness in between. Mavis, the Vintage Caravan Bar can be a beautiful addition to your next event. With our amazing staff and exceptional service, we cover all basis to do with your bar, including some amazing cocktails.